Please join us for our 42nd Annual Banquet & Fundraiser! It is open to the public! 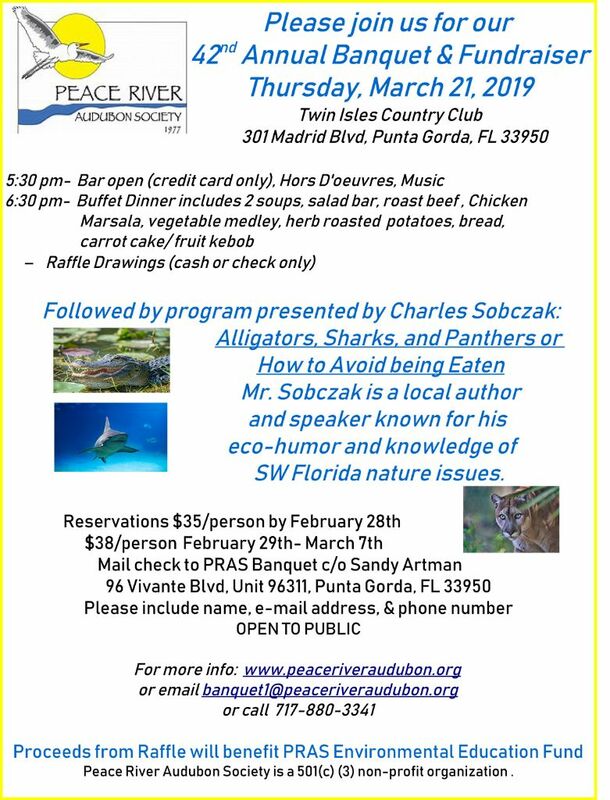 Mr. Sobczak is a local author and speaker known for his eco-humor and knowledge of SW Florida nature issues. 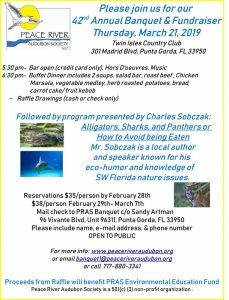 Peace River Audubon Society is a 501(c) (3) non-profit organization .